(USKings.us)Magic Kingdom Park is a theme park at the Walt Disney World Resort in Bay Lake, Florida, near Orlando, Florida. Owned and operated by The Walt Disney Company through its Parks and Resorts division, the park opened on October 1, 1971, as the first of four theme parks at the resort. Initialized by Walt Disney and designed by WED Enterprises, its layout and attractions are based on Disneyland Park in Anaheim, California, and is dedicated to fairy tales and Disney characters. The park is represented by Cinderella Castle, inspired by the fairy tale castle seen in the 1950 film. In 2015, the park hosted 20.49 million visitors, making it the most visited theme park in the world for the tenth consecutive year and the most visited theme park in North America for at least the past fifteen years. 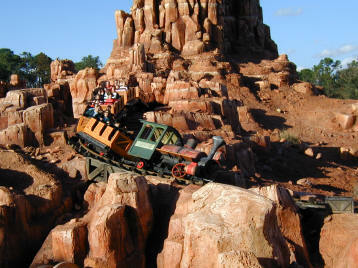 Magic Kingdom is divided into six themed "lands." It is designed like a wheel, with the hub in front of Cinderella Castle, pathways spoke out across the 107 acres (43 ha) of the park and lead to these six lands.The 3 ft (914 mm) narrow gauge Walt Disney World Railroad circles the entire 1.5-mile (2.4 km) perimeter of the park and makes stops at Main Street, U.S.A., Frontierland, and Fantasyland. One of the world's busiest steam-powered railroads, it transports 3.7 million passengers each year. The railroad has four steam locomotives, #1 "Walter E. Disney", #2 "Lilly Belle", #3 "Roger E. Broggie, and #4 "Roy O. Disney"
(UsKings) Top 100 Famous Brands In US - P2.AT&T.